The Russian signal provides a new value to communications between our people, and we are doing so without the intermediation of any of the big international news channels. 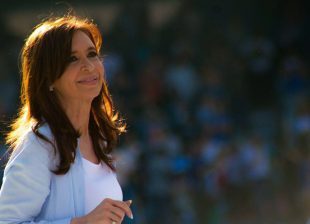 CRISTINA FERNÁNDEZ DE KIRCHNER, PRESIDENT OF ARGENTINA, HELD VIDEOCONFERENCE WITH THE PRESIDENT OF RUSSIA, VLADIMIR PUTIN, 10/9/2014 FROM LAS HERAS, SANTA CRUZ PROVINCE. PRESIDENT. Mr. President, how are you? All Argentineans wish to greet you from the city of Las Heras, Patagonia. Our greetings go to the whole of your country, Russia, and to you, Mr. President. 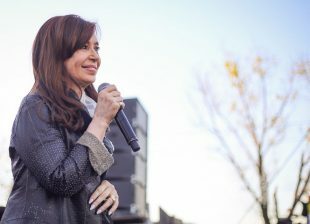 Let’s have a round of applause for the President of the Russian Federation who is so kindly communicating with us on this historical day on which we will start to broadcast the Russian signal on Argentine digital television; a Russian channel broadcast to the world in Spanish. Good afternoon, once again, Mr. President. PRESIDENT OF THE RUSSIAN FEDERATION.- Good afternoon Mme. President, we can hear you perfectly well and the image is very clear. PRESIDENT.- We are very pleased, Mr. President, because the fact of including the Russian signal provides a new value to communications between our people, and we are doing so without the intermediation of any of the big international news channels which normally broadcast news in line with their interests. We are being able to establish communication between our people without intermediaries and conveying our own values. That is why we are happy to have the Russian signal in Spanish, in the Argentine digital television system which is viewed across our country: a plurality of voices, of cultures and also multilateralism in communication and information. PRESIDENT OF THE RUSSIAN FEDERATION. Mme. 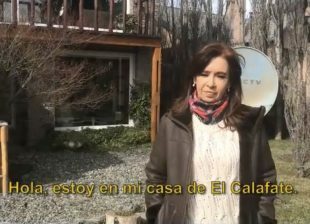 President, Argentine viewers, dear friends and dear Cristina, I would also like to convey our sincere greetings and congratulations for such a memorable event as mentioned by the President of Argentina: Channel RT will be broadcast –live- in Argentina. The right to information is one of our inalienable rights as well as one of the most important human rights. With the speedy development of electronic mass media, which this year have become particularly important, it is possible to manipulate social consciousness, which can turn e-media into a fearful weapon. Severe information wars and the attempts of certain international players to establish a monopoly on truth are characteristic signs of current times, as Mme. President has just said. Under such circumstances there is a claim for strong options such as RT television that does not use methods aimed at aggressively imposing on others its points of view. RT is always open to debate, and offers viewers a broad range of opinions on politics, social matters, history and culture; it gives people the possibility of reaching their own conclusions as regards events. 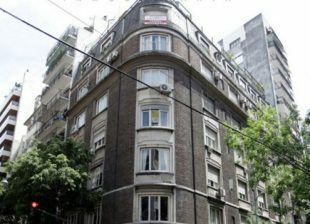 Channel RT broadcasting in Argentina is a common initiative we decided upon with the President of Argentina. Mme. 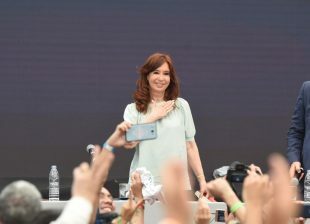 President has already mentioned this is the first time that a foreign media is aired on Argentine television that so far has only brought on board international channels. This evidences how significant the Argentine President’s foreign policy openness is, as well as the long-standing friendship between Russia and Argentina that will soon be celebrating 130 years. I am convinced that the launch of the Russian channel –in Spanish- on Argentine television will lead Russia to come a lot closer to our dear friends and be better understood by them, and this will moreover help to the rapprochement of our peoples. 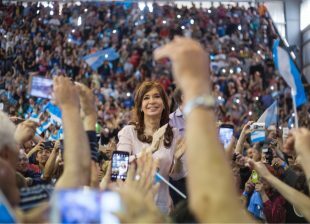 I wish RT viewers as well as all Argentine citizens, peace, health and well-being; and all the best Mme President to you and your people. Thank you. PRESIDENT.- All Argentineans are most thankful for your words, and we fully share your comments on the need to have direct access to education and information; to an identity and news produced worldwide in our societies, with no intermediaries trying to show us distorted events; we, global citizens, must hear about the news directly and can ourselves shape our own opinions and not have them shaped from the outside. In such difficult and complex times as currently being experienced by global politics worldwide, with so much violence, unawareness of our rights and so many double standards, it is necessary for each and every one of us, citizens on this Earth, to learn about our brother and sister peoples with no intermediation. 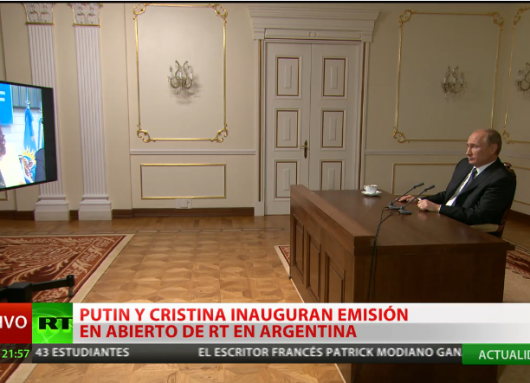 I am absolutely convinced that this new RT signal on Argentine television will deepen our bonds of friendship, knowledge and brotherhood between the Argentine Republic and the Russian Federation, allowing our traditions, histories and cultures to be known; and allowing the many Russians and Russian descendants living in Argentina, as well as all Argentineans, learn about the real Russia, and all Russians hear the truth about Argentina, and not what certain international mass media wish to show, or even certain so-called national media. We thus welcome this new communications and information bond which will help not only Russia and Argentina but the world. Because when the people get to know each other better, they can also speak to others about these realities and bring down the level of international conflicts that in many places is affecting international peace and security. We agree on the need to solve all conflicts in a rational, diplomatic manner and pursuant to international law; we uphold multilateralism and peaceful coexistence among the peoples, respect for sovereignty as promoted by the Russian Federation, and also the identity and sense of belonging of the people as regards their culture. Thank you very much President Putin for the time you have devoted today to the Argentineans, and for the efforts both countries have made to set up this new information bond in an era when communicating in real time is essential. President Putin, thank you very much for allowing us to fulfill one of the agreements we signed on your visit to the Argentine Republic. PRESIDENT OF THE RUSSIAN FEDERATION. Mme. President, I recall that visit perfectly well and thank you for your kind welcome. We are bonded not only by affection and diplomatic relationships but also by many common interests. Here in Russia, just like in the rest of the world, we can see how you are striving to defend the interests of your country; you are an example to be followed by many and we will support you in your lawful and legitimate claims. We will make all efforts to improve the lives of our people. Thank you very much. PRESIDENT.- Thank you very much, Mr. President, we send our greetings to you, the Russian Federation and the people of Russia.